“tomato soup & grilled cheese” macaroni & cheese | omfg. so good. One of my favorite comfort meals as a kid was tomato soup with a buttery, toasty grilled cheese sandwich. I loved it when my mom would cut the sandwich at a diagonal so I always had a pointy end to dunk into the creamy, tangy (yet sweet) soup. 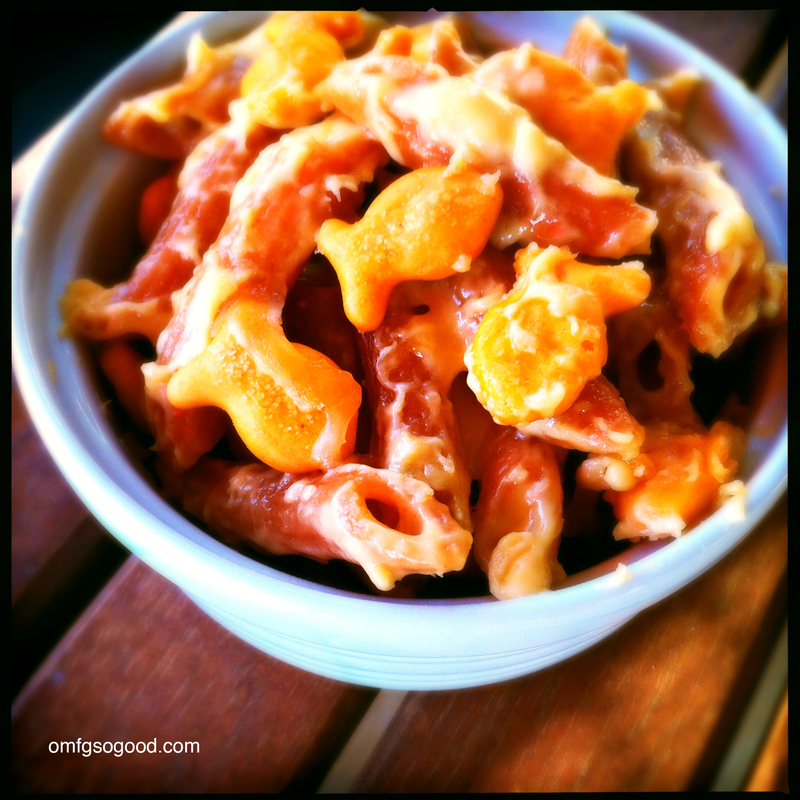 And when she would go one step further and toss in a few oyster or goldfish crackers? Preheat oven to 350 degrees. Spray a 2 1/2 quart casserole dish and set aside. Boil the pasta in salted water according to package directions. (Only cook to al dente so they absorb the cheese and finish off in the oven.) Drain and pour into the prepared casserole dish then set aside. In a medium saucepan over medium heat, melt the butter completely then add the flour and whisk to combine. Cook this, whisking continuously for around 5 minutes then pour in the milk and whisk until combined and thickened. Add in the garlic powder, salt, pepper and mustard and continue whisking until completely combined and smooth. Reduce the heat to medium-low and add in the cheeses then continue stirring until completely melted and smooth. 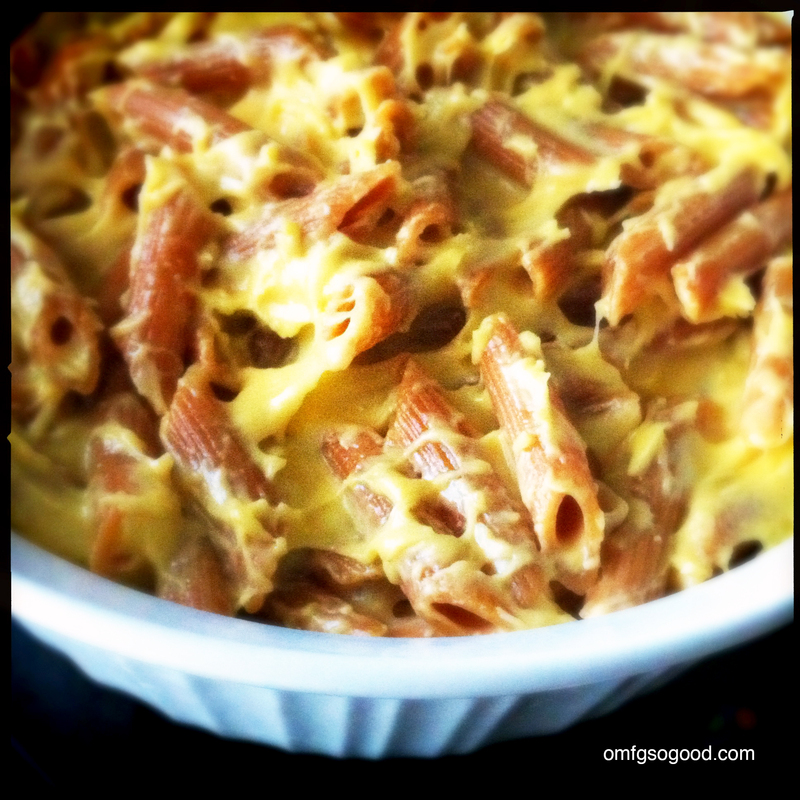 Pour the cheese sauce over the pasta and gently stir to evenly coat. 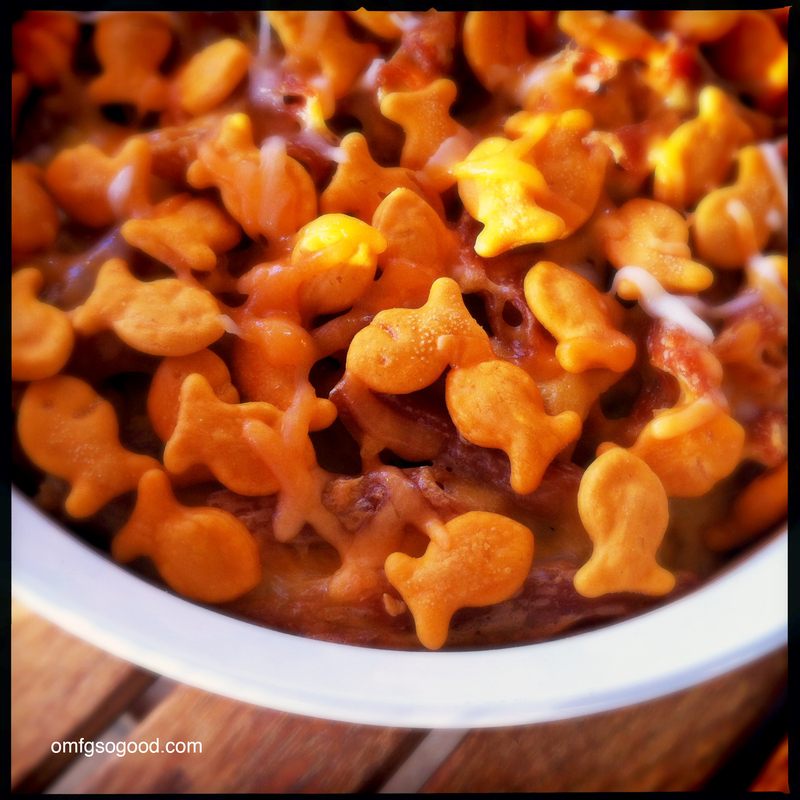 Top with Goldfish crackers (and a little extra shredded cheese if that’s how you roll) and bake in the preheated oven for 30 minutes (uncovered). Then I swore I saw a pig fly by the kitchen window.